When I was reading the book, I realized much of the material I already know how to use. I used an iPad mini for about 3 years before it broke, so I do have quite a bit of experience using one. I bought that iPad while I was in high school to use for school projects. Thus, I was able to learn many of the tools that come along with these devices. I'm an active Google user, so there were many tools, such as the calendar, on the iPad that I never used. It was beneficial for me to read over the materials to apps like that because I was not supper familiar with them. As far as navigating the iPad, I am very comfortable. It was good to read the material, but much of it I already know. There was one big thing that I learned about while reading the book, and it was actually about the app I am using right now to type this reflection; Notes. I did not know that there was a sketching function on the Notes app. This will be very good for me to use since I am a visual learner. I can draw pictures that help me when I take notes to visually remember things that I need to. That was the most beneficial part of this book for me. The best part of using the iPad so much in my education classes will be learning how to be more comfortable using all the apps on the iPad as a teacher. 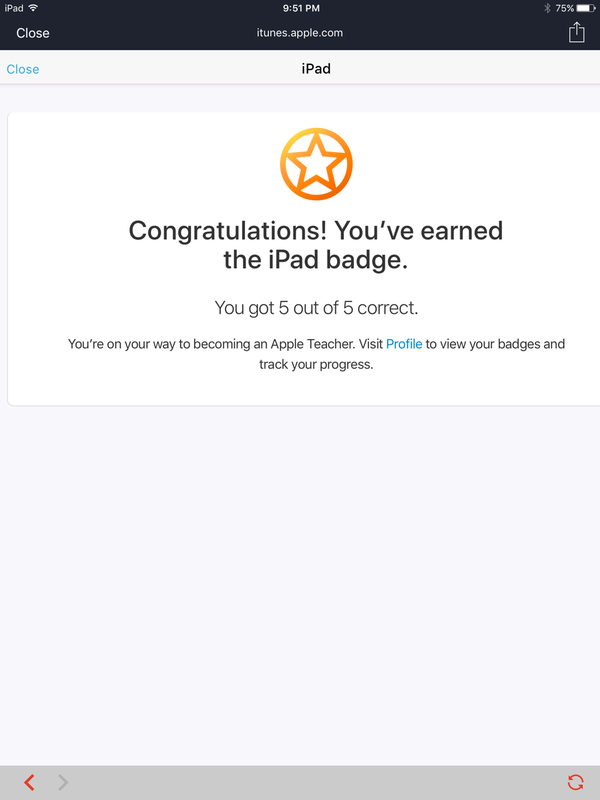 I used an iPad as a student, and now I can learn as a teacher. Having this book will be a good reference for me as I expand my knowledge about the iPad.